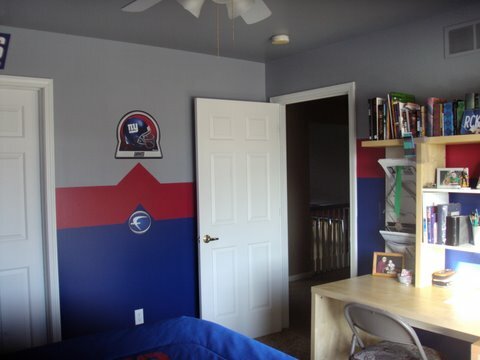 My 14 year old son is a NY Giants fan and wanted his room re-done as such. We bought the paint from Home Depot - they carry all professional and college sports team colors and the match is perfect. We painted the ceiling and half way down the wall with grey and did the lower half in bright blue. My son chose the way he wanted the red strip and drew the lines with chalk. 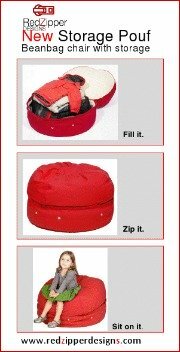 Be sure to level, tape and prime well before painting the red strip. 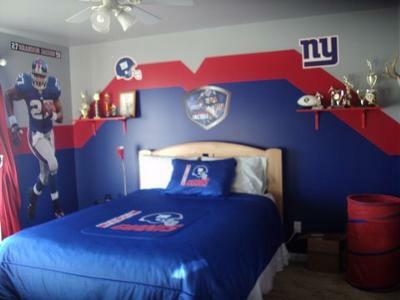 He is a big Brandon Jacobs fan and the decals are from FatHead.com. The great thing is, that he can move the decals when he moves his furniture around. The decals are not exactly where I would have placed them - but then again, it's not my room. The rest was simple. Insulated curtains from Target and the desk and shelves from Ikea. All in all, it was a pretty inexpensive room. Needless to say, he just loves it! Great room! My son has a very similar room with stripes and the exact same colors. I will upload soon. HOME DEPOT ALSO HAS THE NY GIANTS CARPETING... LOOKS AWESOME IN MY HUSBAND'S OFFICE..
Nicely done! Clean cut with personality. 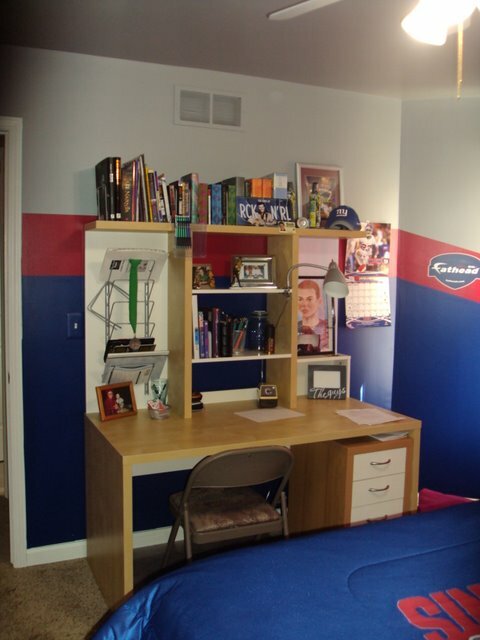 What a great looking room for a young lad!!! Design, attention to detail = SUPERB!! !